Posted on August 23, 2016 by Norwich Radical	in Arts, Perspectives and tagged #GetElsaAGirlfriend, #GiveCaptainAmericaABoyfriend, #wedeservebetter, Adele Dazeem, batman, Batwoman, campaign, Captain America, comics, Deadpool, Disney, diversity, Elsa, exclusive, fandom, films, Frozen, Harley Quinn, homophobia, Idina Menzel, Jared Leto, Joker, lgbt, lgbtQ+, Marvel, media, movies, MSM, pansexuality, petition, representation, sexual orientation, sexuality, social media, Stucky, Suicide Squad, superhero. Earlier this month, Warner Bros and DC released their latest superhero film Suicide Squad, sending mixed reactions across the internet as viewers commented on the film’s plot line and the sexualisation of squad member Harley Quinn. Audience and critics’ opinions aside, what is explicitly noticeable within the film is the lack of LGBTQ+ characters, such as DC character Batwoman, for example – if Batman can make a cameo, why not her? In a world with superheroes, Killer Crocs, and witches, why are production companies still refusing to feature LGBTQ+ characters in their films? In the past few years, the LGBTQ+ community have voiced their opinions on the lack of LGBTQ+ characters in films, both animated and live action. The film Deadpool, for instance, seemed to completely ignore the protagonist’s pansexuality, and a number of campaigns and petitions have been started to promote better visibility and representation of LGBTQ+ characters and films, trying to convince film companies into giving characters such as Frozen’s Elsa and Captain America’s protagonist girlfriends and boyfriends respectively, using hashtags such as #GetElsaAGirlfriend and #GiveCaptainAmericaABoyfriend. Yet, sadly, many people still have a problem with this. The #GetElsaAGirlfriend hashtag was first used by 17 year old twitter user Alexis Isabel, who voiced her opinion of the lack of LGBTQ+ characters in films, and quickly gained support across the internet. 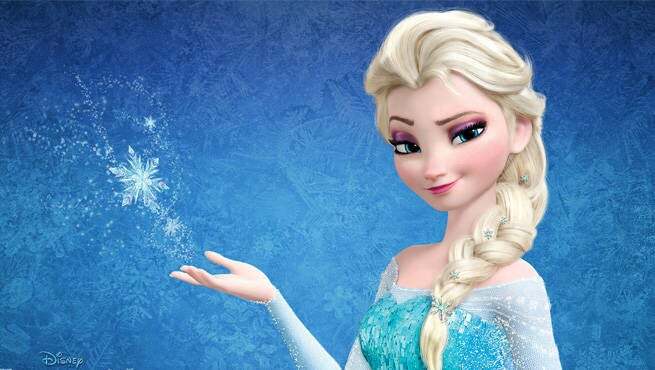 Viewers are campaigning for Disney to feature Frozen’s Queen Elsa in a lesbian relationship in the film’s sequel Frozen 2, and has been fully backed by actress and singer Idina Menzel who is set to reprise her role as the iconic queen. The reason behind the campaign is simple and clear: if young viewers see characters featured in films aimed at their age group, they are far more likely to feel comfortable with their own sexuality and that of others as they grow. By featuring such characters in mainstream media across age groups, we are coming closer to universal acceptance and slowly edging away from homophobic (casual or explicit) attitudes. As well as the drive to get Disney to include a homosexual character within the film Frozen, many people across the internet were using the similar hashtag #GiveCaptainAmericaABoyfriend to try and convince Marvel to provide Captain America with a boyfriend in the future. I will admit that, whilst I am in 100% support of the campaigns to include LGBTQ+ characters within both cartoon and live action films, I can understand and agree with certain people who oppose this idea in particular. Captain America is an established character in comic book history, and his story has already been written. To completely change the sexual orientation and future of the film’s protagonist would involve changing and rewriting an iconic character that is years old, and I can understand why die-hard fans would have a problem with these modifications. It might be preferable to introduce a new LGBTQ+ character instead. The absence of LGBTQ+ characters within film and television desperately needs to change. To exclude such a large part of society from mainstream media is discriminatory, ridiculous and, particularly in terms of popular films and cartoons, can prevent young viewers being able to understand their own gender and sexual identity. Whilst some opposers of such campaigns are claiming that the community are pushing some form of agenda, the suggestion that watching LGBTQ+ characters on screen will change certain viewer’s sexual orientation is ridiculous, and their is absolutely no truth in the claim. In order to break down stereotypes and encourage society to accept people of all sexual and gender identities, the LGBTQ+ community deserves place in mainstream media as much as any other member of society.